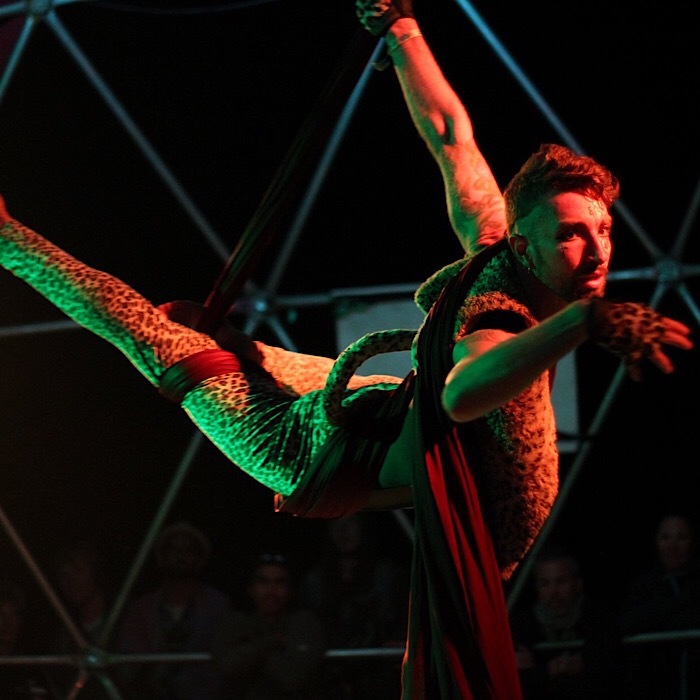 The two spirited jungle cat Brajan is a dancer and an aerialist who uses character and movement to create stories that strike an emotional chord and change people’s perception about gender and the human spirit. He has been training aerial and dance for 3 years after having an epiphany moment in which he woke up to his natural gifts and purpose in life, to inspire through performance art. In the last two years he has worked closely with circus artists and nomadic yogis at Momentom Collective, performing at Cosmic Convergence and Envision festivals along with various places in Central America and Bali.